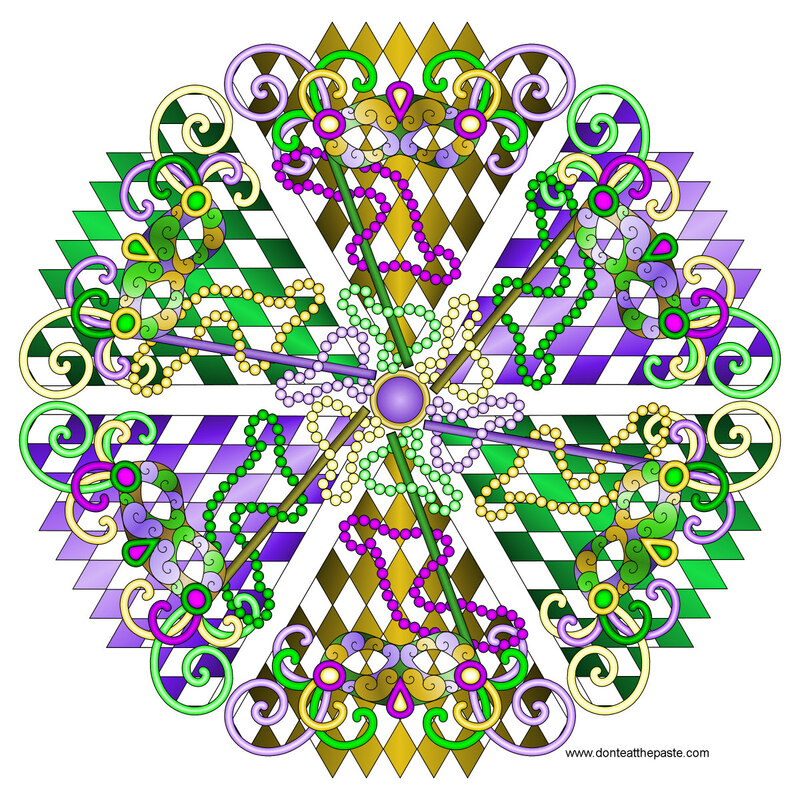 I hope you enjoy this Mardi Gras themed mandala to color. 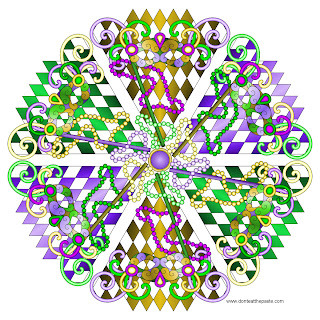 Click on the image for a larger version. 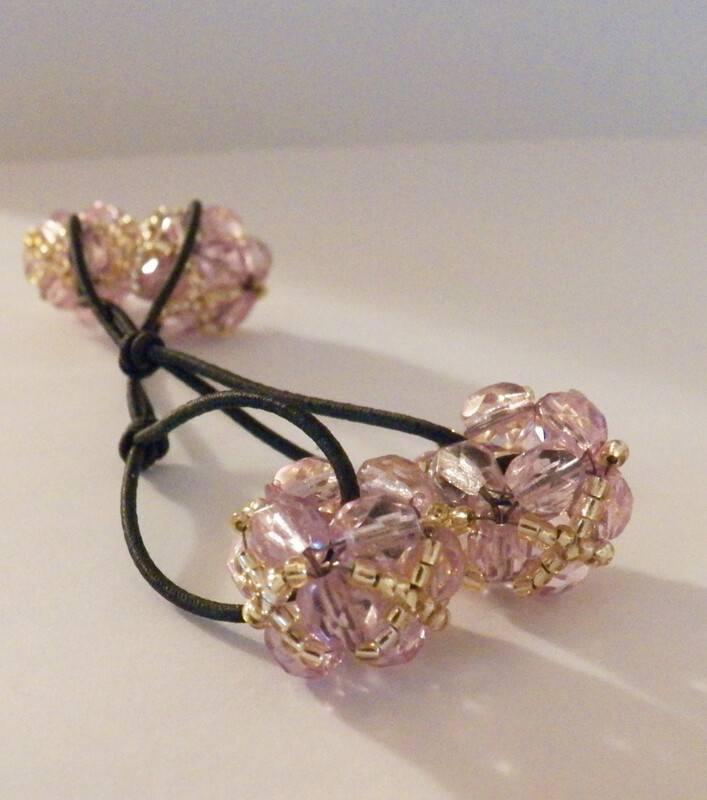 Also, I recently posted a beaded hair bobble project on BellaOnline.